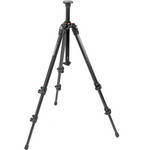 I own several Manfrotto 190CX3 Carbon Fiber Tripods. Perfect for a set of light sticks under a 701HDV video fluid head working with smaller cameras. The 190CX3 regularly runs for $243 dollars (as seen here) weights only 3 lbs. and is rated to support a small load of around 11 lbs. 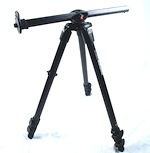 If that's not enough, the 055CXPRO3 is a heavier duty Carbon Fiber Tripod weighing in at just 3.6 lbs capable of a 17 pound load. 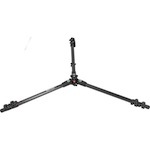 Not just beefier, but also more features such as a center column that can be positioned horizontally. 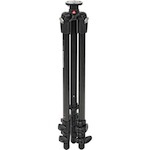 For about the same price as my lesser 190CX3, right now there's a deal to receive an Instant Savings of -$150 off the Manfrotto 055CXPRO3 Tripod Legs bringing it down to just $249. 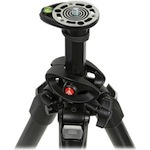 Posted in dslr video, Equipment Reviews. 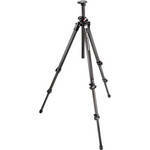 Tags: Carbon Fiber Tripod, Cheap Carbon Fiber Video Tripod, dslr video, Manfrotto 055CXPRO3, Manfrotto 190CX3 on February 16, 2014 by Emm.